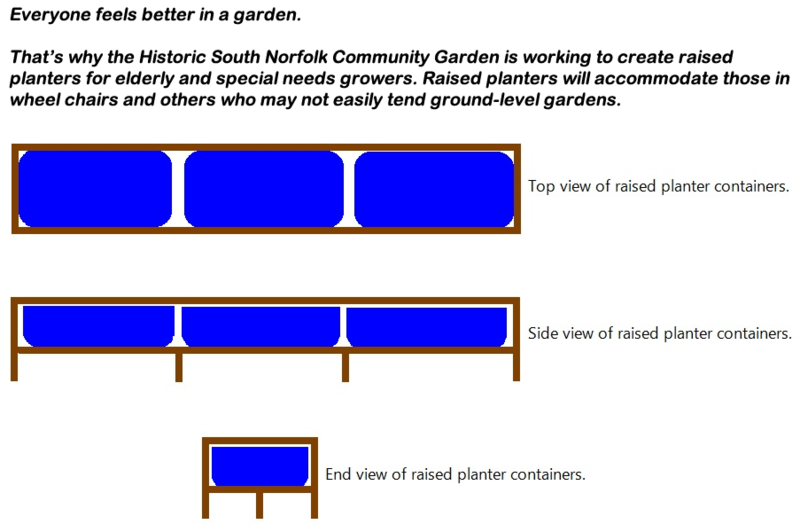 Garden Projects: We need your help! 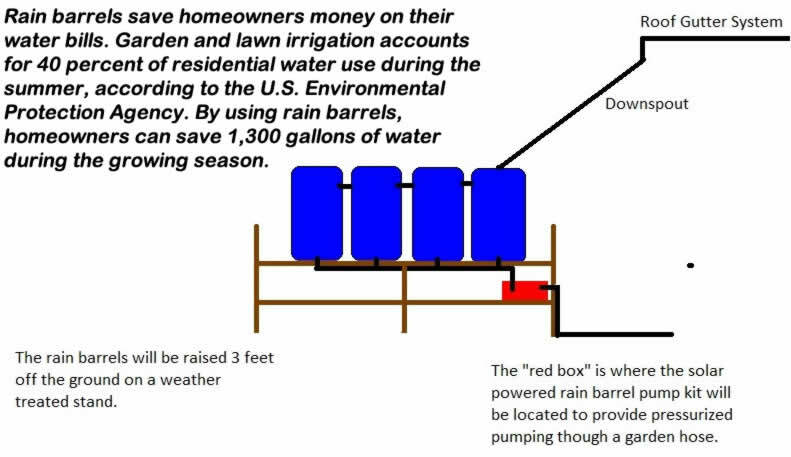 The Historic South Norfolk Community Garden is seeking to install a rainwater watering system similar to the image below.The watering system will help irrigate the garden in an economical and ecological way, saving money on electricity and preserving ground-water resources. It will also serve as a teaching model for other gardeners seeking a greener way to grow their gardens. For young and old, nothing takes the hassle out of horticulture like raised container gardening. They are great for everyone with limited mobility, special needs, or a preference for working off the ground. Raised containers are also great for vining crops allowing more length within the garden plot.